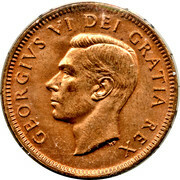 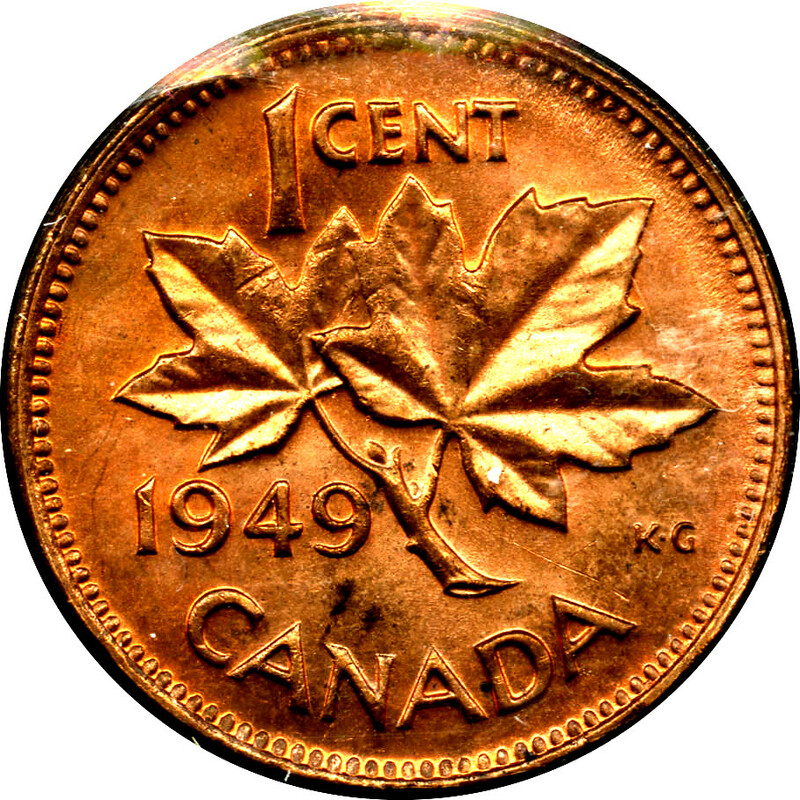 A maple leaf twig is surrounded with the facial value and the inscription "CANADA"
George Kruger Gray was an English artist, best remembered for his designs of coinage and stained glass windows. 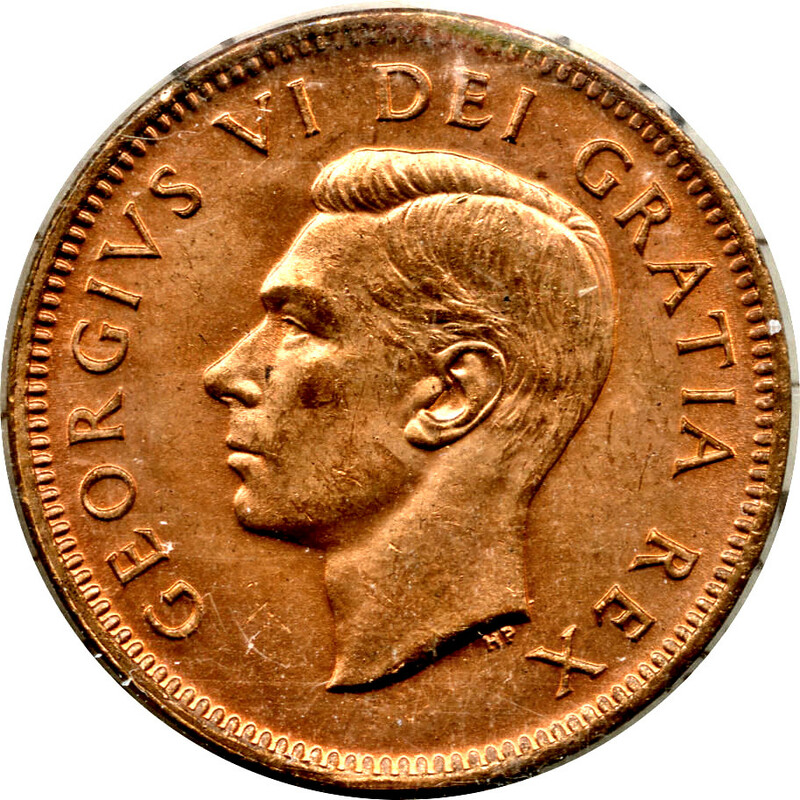 1948 25,767,779 0.53 Last "A" in GRATIA points between denticles. 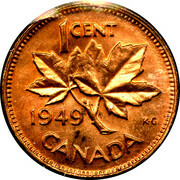 1949 5.47 Incl. 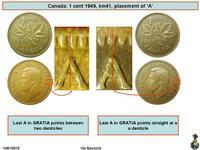 below, last "A" of GRATIA points to one denticle. 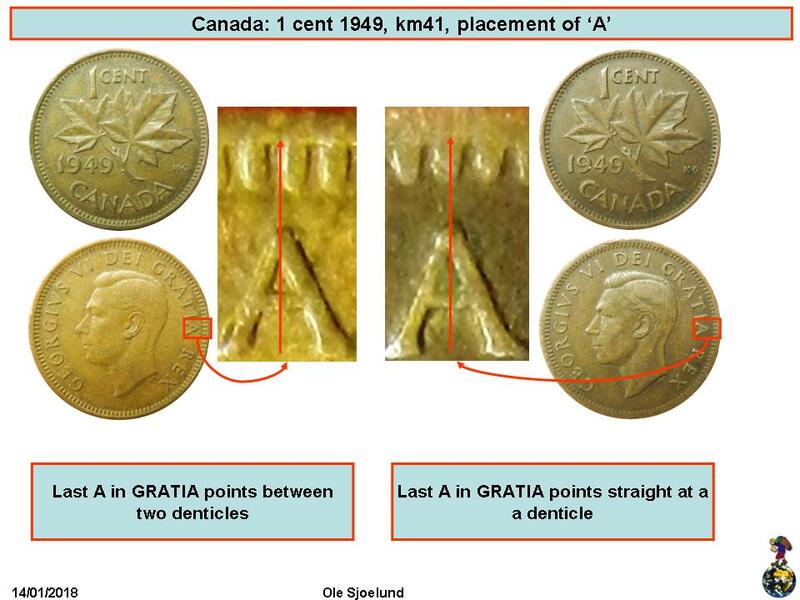 1949 33,128,933 0.24 0.28 0.36 Last "A" in GRATIA points between denticles.